The 1998 BMW 740i is not the most powerful E38 model, but it is not far from that. The BMW 740i has a powerful 4.4-liter (4398 cc) M62B44 Petrol V8 engine under the hood. This engine can produce up to 282 hp (210 kW) at 5700 rpm and up to 310 lbs-ft (420 Nm) of torque at 3900 rpm. The BMW 740i has a quite powerful engine, but its acceleration isn’t that good, because the car weighs quite a lot. Well, all 7 series BMW models are kind of heavy, so that probably is nothing new. However, the car still has a powerful engine, and you can accelerate from 0 to 100 km/h in about 7.5 seconds. It also can reach a top speed of 125 mph (~201 km/h). If all that power is not enough for you, you can always get a 750i, this one is slightly faster. Doesn’t matter a fact, the 750i is the fastest E38 model, but it’s not that far from the 740i when it comes to acceleration. However, it is quite far when it comes to top speed, because the 750i has a top speed of 155 mph (~250 km/h). This beautiful BMW comes with a rear-wheel drive system. It also features a 5-speed automatic transmission. Its fuel consumption is 17 mpg in a city and 24 mpg in a highway. 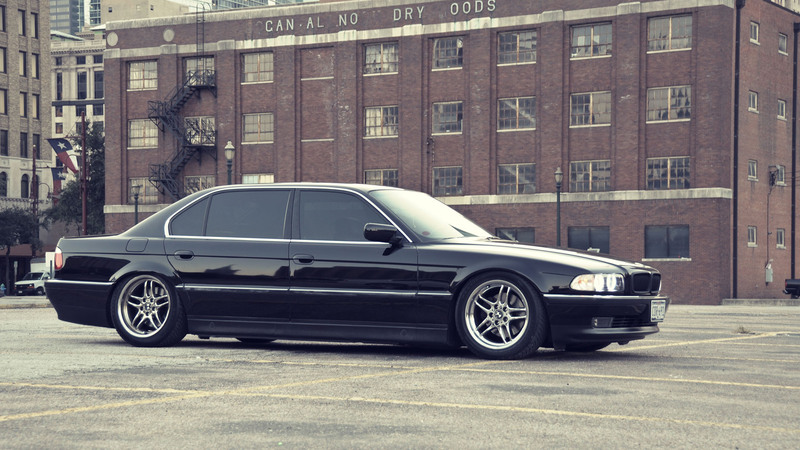 The 1998 BMW 740i curb weight is 4325 lbs (1961.8 kg). Its wheelbase is 120.9 inches (3070 mm) long. Its width is 73.3 inches (1862 mm) and length is 201.7 inches (5123 mm). In 1998, the original price (MSRP) for a base 1998 BMW 740i model was set at around 68,000 USD ($).